How to measure your kitchen cabinets? 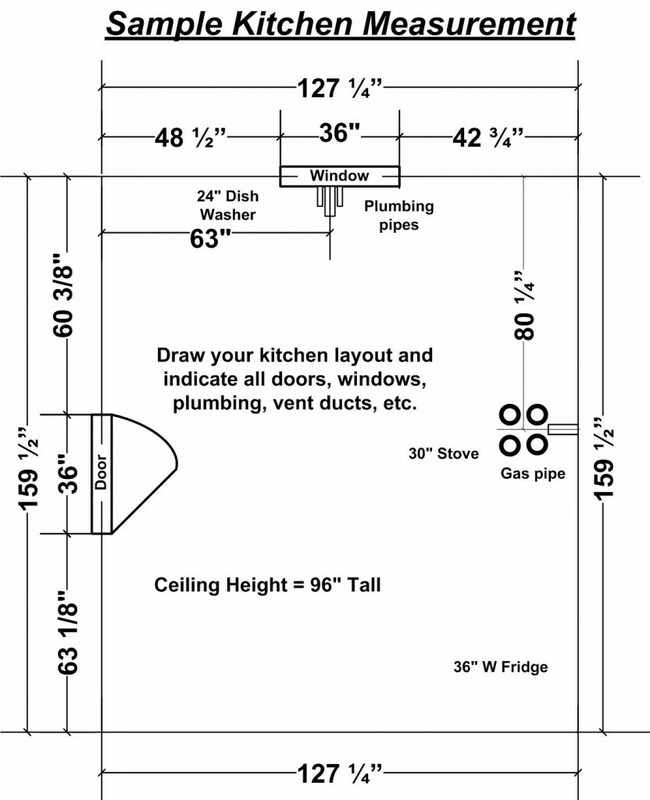 Draw your kitchen floor plan with each wall, door, window, protrusion and recessed areas. Measure floor to ceiling height. If you kitchen has soffit (or bulkheads), measure soffit height and depth. Measure from bottom of each window casing to floor. Measure from left or right end of each window & door casing to the nearest corner. Measure from center of each water and gas pipe to the nearest corner. Indicate each one of your appliances and their dimensions and location.